Sawyer, Deborah C.. "Quebecair". The Canadian Encyclopedia, 16 December 2013, Historica Canada. 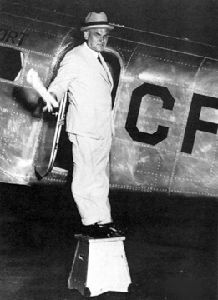 https://www.thecanadianencyclopedia.ca/en/article/quebecair. Accessed 19 April 2019. Quebecair, with headquarters in Dorval, Qué, is a regional airline that began in 1946 as the Rimouski Aviation Syndicate. Quebecair, with headquarters in Dorval, Qué, is a regional airline that began in 1946 as the Rimouski Aviation Syndicate. 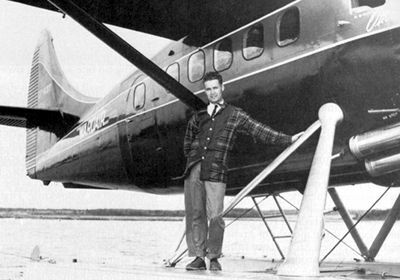 This company became Rimouski Airlines in 1947, merged with Gulf Aviation to create Quebecair in 1953, and acquired Matane Air Service, Northern Wings (now Regionair) and Northern Wings Helicopters in 1965. Quebecair now operates scheduled passenger flights in Québec, western Labrador and Ontario, and offers domestic and international group charters. The company has about 900 employees. Its major shareholder was the Québec government, which assumed control in 1981. 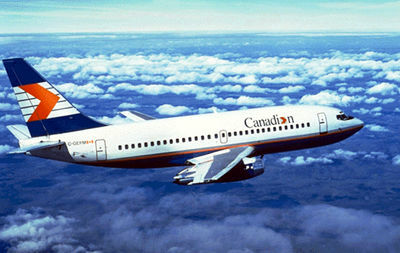 The airline did not fare well and in 1986 was sold to Nordair-Metro, after losing the government $80 million 1981-86. Soon after, Nordair was sold to CP Air, itself soon taken over by PWA and now operating under the name Canadian Airlines International.